No, he explained as we chatted in Portland this past March during his poetry-reading stop-off, he had worked out the metaphor in his poetry, and then realized that it would be memorable in his testimony. He brought his poetic skills to bear in his activist work. He describes how, as he finished from Unincorporated Territories [hacha] (Tinfish Press 2008), he added a page at the end with an allusion to a U.S. military build-up in Guam, printing an enormous "8000" on a page. This page followed his sequence "from Descending Plumeria," which, along the top, is an elegy for a beloved cousin, and, along the bottom, describes the invasion of the brown tree snake. It was during the reading tour for his first poetry book that he prepared his testimony on the harmful environmental and cultural impacts of militarization on Guam to the United Nations Special Committee on Decolonization. Given only five minutes to present, Perez turned to his “training as poet … because [he] knew how to condense.” He knew he needed an image to make the facts memorable. 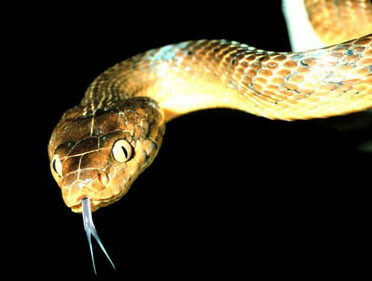 Now he had his image for the UN testimony: the brown tree snake. “Our testimonies began to circulate further through various online news networks in the Pacific and the United States,” writes Perez, including Scoop News, out of New Zealand, a decolonization weblog Perez sites in his first book, and the Chamorro activist magazine, Minagahet Zine. My initial assumption that Perez first developed the metaphor in his testimony might be based in the fact that there is so much circulation between his activism and his poetry. He brought the testimony back into his poetry, handing out Hita Guahan at poetry readings, posting his UN testimony at the Harriet Blog, and, remixing the testimony into both his second and forthcoming third books. Last year, the Konsehilon Tinaotao Guam (Guam Humanities Council) invited Perez to engage community conversations around the military build-up in his capacity as both poet and activist. In a week, he estimates he engaged “nearly 500 students and 300 community members” in addition to appearing on local media. Perez, Craig Santos. “Dispersal Pathways: Imagining, Circulating, and Recasting Political and Poetic Images.” Unpublished Essay, 2011.